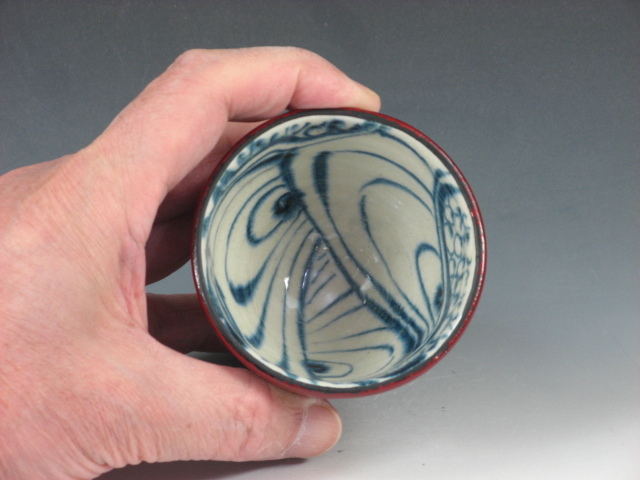 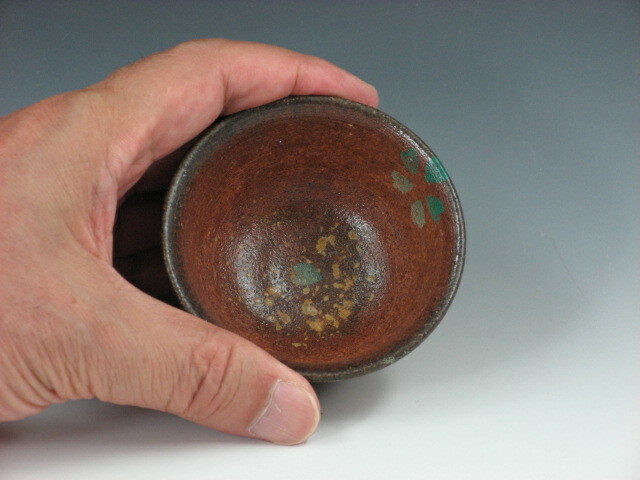 A bright Satsuma sake cup in “Sansai (three-colored)” style ! 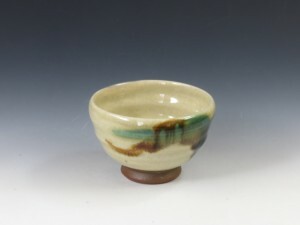 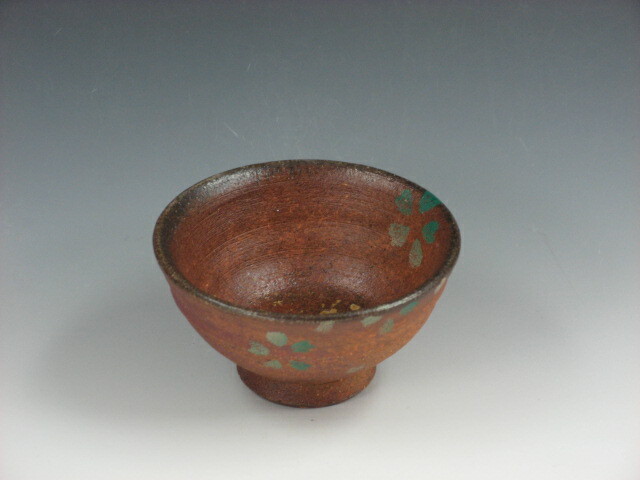 An unglazed sake cup with green petals in japan ! 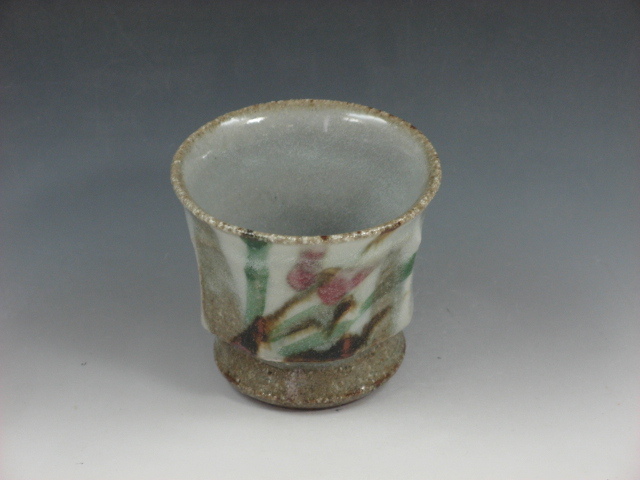 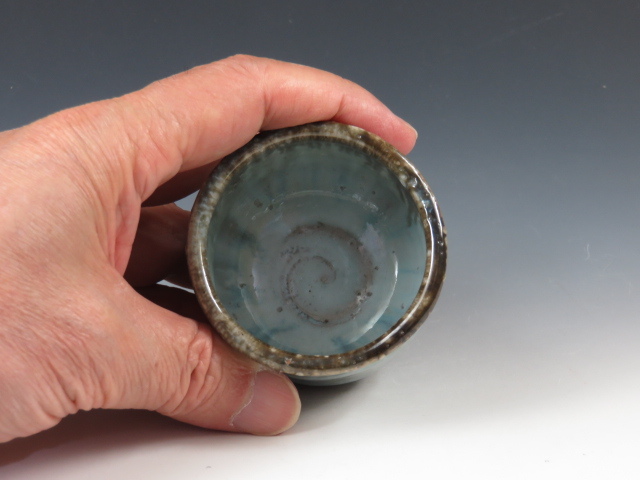 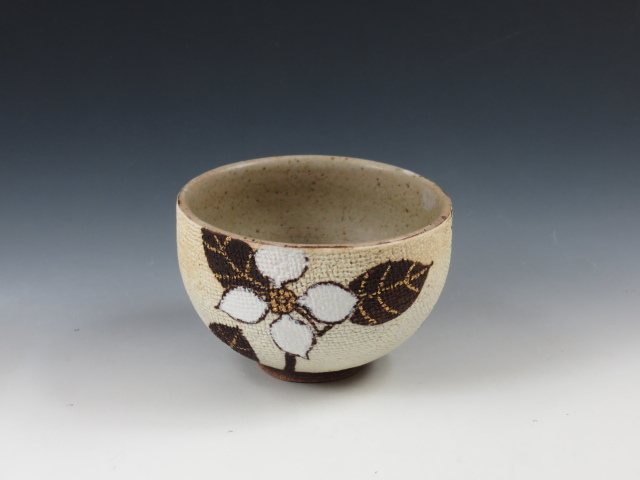 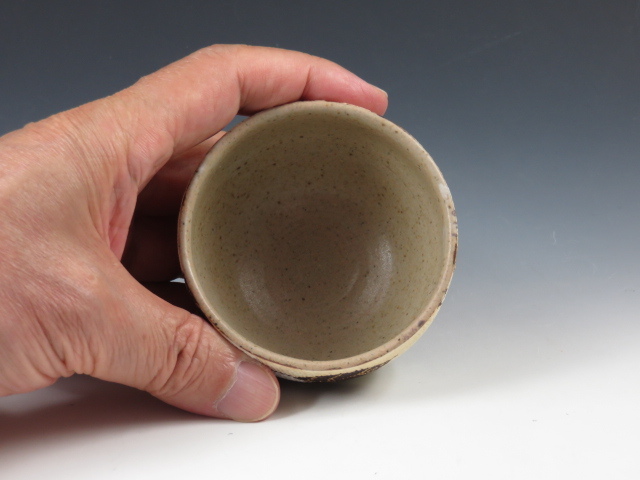 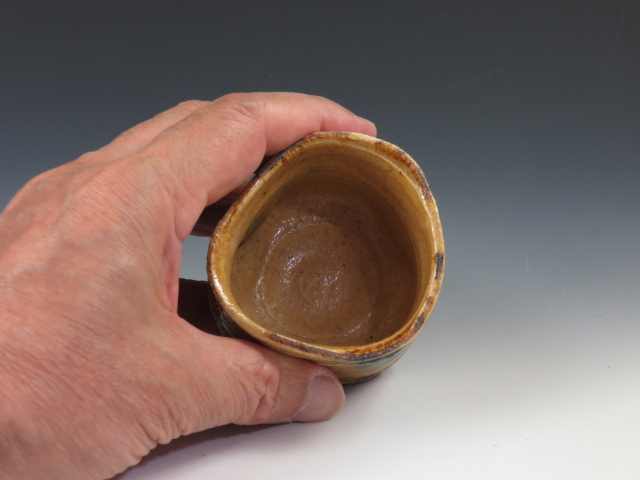 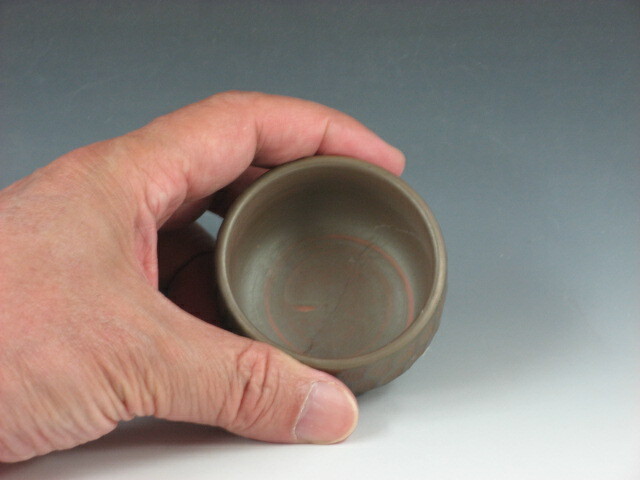 A warm-looking sake cup with a folk craft feeling of Mashiko-Yaki ! 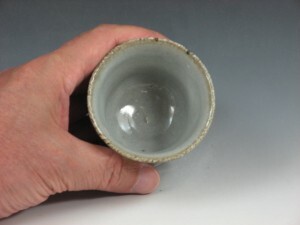 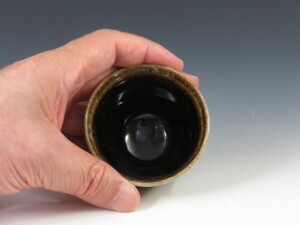 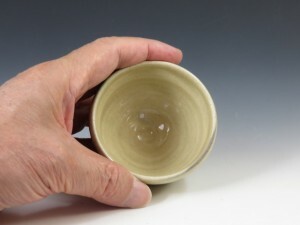 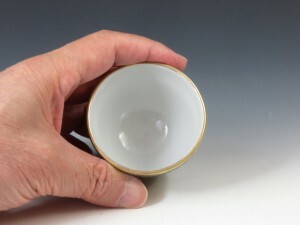 A cloth textured sake cup with a comfortable touch ! 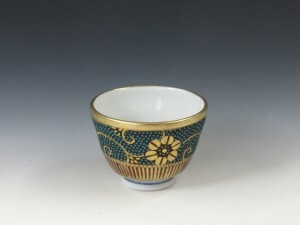 A graceful sake cup with a traditional design of “Ao Chibu” or “Blue Dots” with golden decoration ! 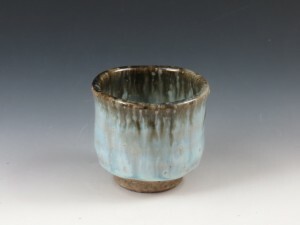 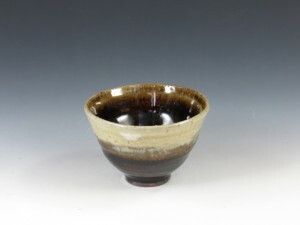 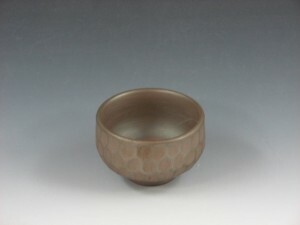 A beautiful Chosen Karatsu sake cup applied with Hai-yu (or ash glaze) over Ame-yu (or caramel glaze) ! 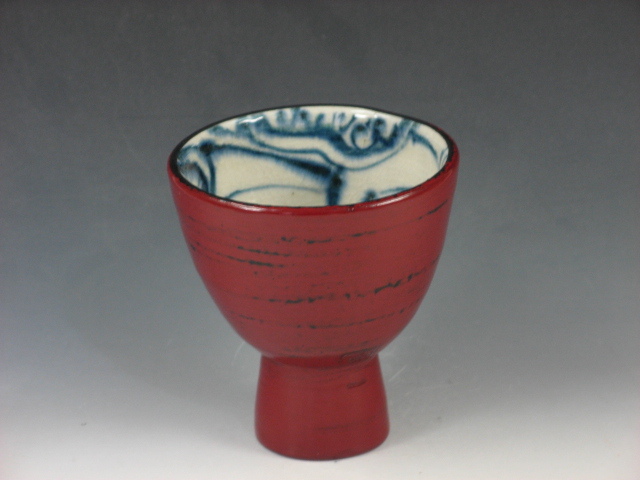 A quite unique pottery sake cup applied with red japan outside and decorated in cobalt blue inside ! 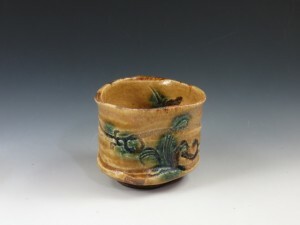 An intentionally deformed sake cup with a typical yellow “Kisto” with vivid green decoration called “Tan-Pan” ! A sophisticated sake cup with a hexagonal tortoiseshell pattern ! A blue “Ajisai Yu” (or Hydrangea-glazed) sake cup in new Iga style !